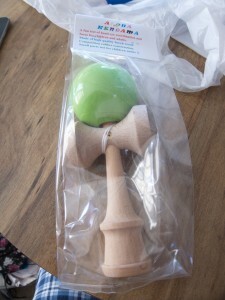 I also got some kendama as gifts for friends. I’ve been seeing kids (and some adults) play with these the entire time that I’ve been in Hawaii. Also, it’s what Genis uses in Tales of Symphonia, which is amusing. 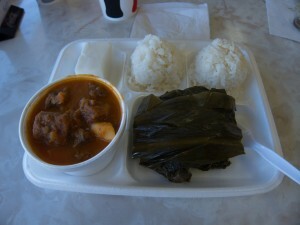 I ordered a Laulau pork and stew plate lunch, which came with some haupia, a coconut-milk jelly dessert. The laulau pork is kind of like a Chinese zhongzi (粽子), except that instead of rice and stuff, it’s only pork that is wrapped in what seem to be banana or taro leaves. There’s also a layer of some kind of mustard green that is both edible and delicious. 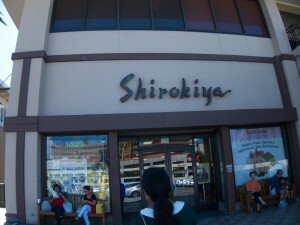 After lunch, we headed to a place that I specifically wanted to go to: Shirokiya. It’s more or less a Japanese sub-mall within the larger Ala Moana Center super-mall. 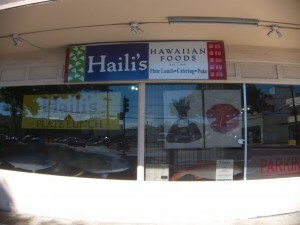 Inside is a first floor with different Japanese shops and a second floor with a large food Japanese court. Specifically, I wanted to come here to visit the Book-Off in there. Mostly, I wanted to see if they had any Japanese books/CDs/games. They do, but a lot of it tends to be a year old or so, which isn’t surprising, really. 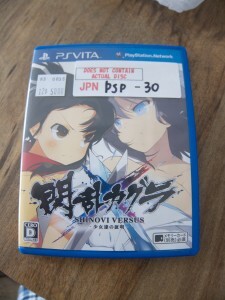 I ended up buying Senran Kagura Shinovi Versus for the Vita since it was $50 and play asia was asking for $62. 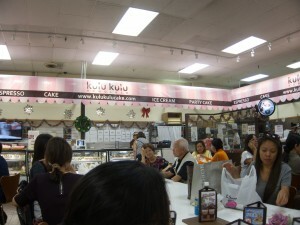 Also at Shirokiya is a cafe called Kulu Kulu which has a bunch of drinks and pastries. 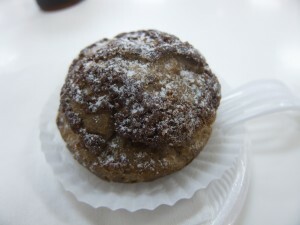 I haven’t had a cream puff in forever, but this was amazingly tasty! After wandering around a bit, we headed to the mecca of consumerism: Costco. 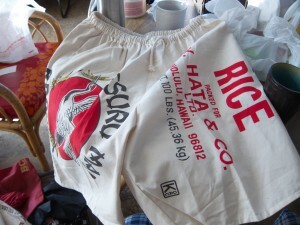 I know it seems weird, but it was suggested to us because the Costco in Honolulu sells souvenir stuff in bulk like snacks and coffee and stuff like that. It… looks like a normal Costco, so I didn’t take any pictures of it. It more or less is a normal Costco too, but they sell a bunch of Hawaiian snacks that you see being sold at ABC Stores as souvenirs. 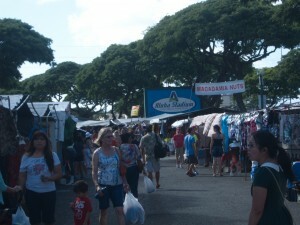 I bought a big pack of Hawaiian Host chocolate-covered macadamias to give out as gifts when I get back. After wandering around Costco, we had our fill of capitalism for one day and headed back relatively early to start figuring out how to get all this stuff back to the mainland. 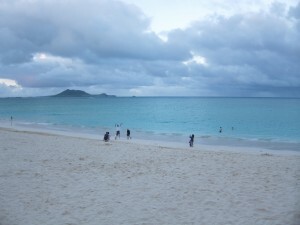 To end our last day here, we decided to visit the nearby Kailua Beach Park in order to watch the ocean a bit and watch the sunset. 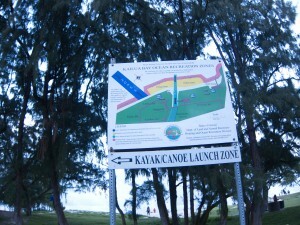 Unfortunately, we failed to realize until going there that the sun sets in the west, and this beach park is on the eastern shore of Oahu. So, watching the sunset might be a bit difficult. Oh well. We sat on a bench and enjoyed watching the waves and beachgoers for a bit. 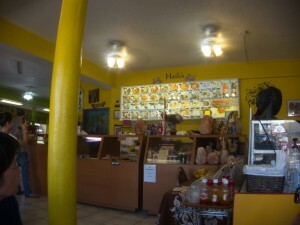 We headed to a nearby Korean place called Willow Tree Cafe to end out the night. I totally forgot to take pictures since I was too busy stuffing my face. We’ll be heading back tomorrow so this is my last post for this Hawaii trip! Overall, this trip has been a lot of fun! I’ve seen, walked, and driven through a whole bunch of different places on different islands of Hawaii. I’ve also gained probably 5-10lbs eating lots of delicious food, so I’m very happy about that. This trip through Hawaii has been thoroughly enjoyable, and I’m a bit sad to leave here tomorrow (and to be returning to colder climates :<). Hopefully, I can return here someday down the road!